Wow! What a rollercoaster ride for the month of February 2016. 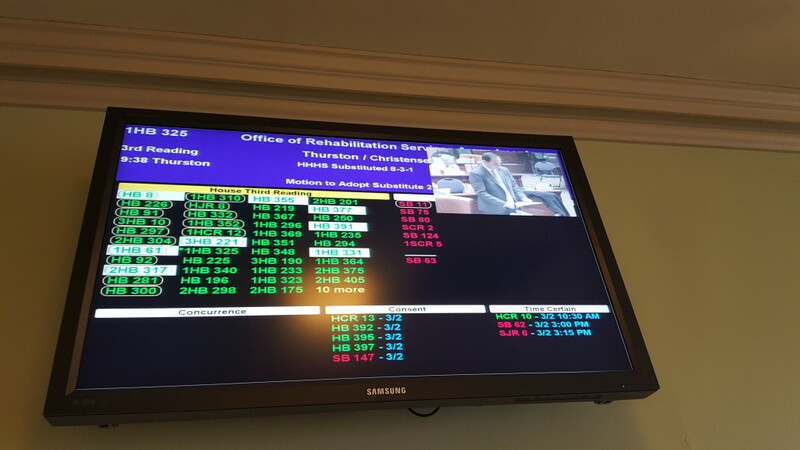 As you may all know, the legislators have voted and decided that Utah State Office of Rehabilitation (USOR) is the best fit under Department of Workforce Service (DWS). Division of Services of the Deaf and Hard of Hearing (DSDHH) is under USOR so that’s why we’ve been very involved with this. We want to ensure that there’s no change with our community center, programs and services when that move takes place. A bill was created called HB 325 and just by reading it, it was obvious a lot of things will change. So that’s why we had to step in, share our concerns and work with the legislators to make sure nothing will change. 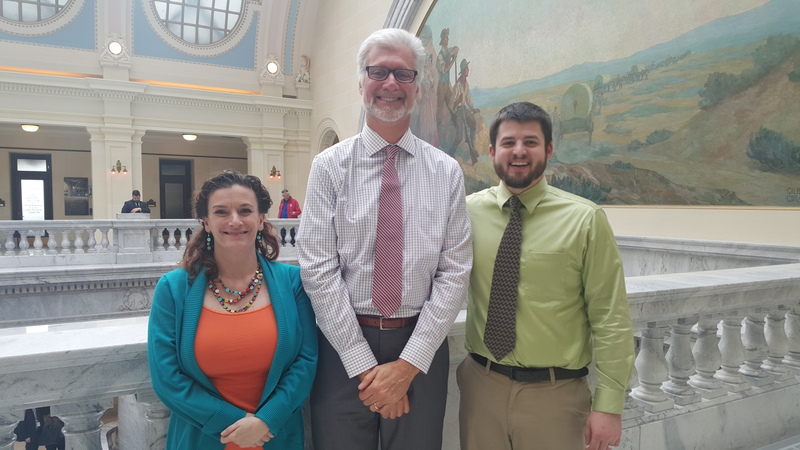 Representative Thurston has been working with us to make the amendments we suggested and we hope all of them will be incorporated in the final draft of the bill. Please watch our UAD Facebook page (www.facebook.com/UtahADeaf) to stay updated on this. Thank you to all who been helping us along the way and sharing the concerns with your legislators. If you have any ideas, suggestions, feedback, please feel free to call our UAD VP # 801-758-7565 and leave a message. We’ll forward it to the right team and have it looked at. February 17, 2016 – Jay Christensen, 75, enjoyed fishing, hunting, gardening and sports. He is survived by his widow, Rhonda, and siblings Steven Christensen and Nancy Li. A memorial service was held in Riverton. Please note that Catherine Grizzard has changed her email address – it is now cathy797860@yahoo.com. She no longer uses this email address, catharley04@yahoo.com. Teachers and students are active in the business of learning. This week we are celebrating the birthday of Dr. Suess with our annual read-a-thon. We encourage all of you to read with us! The science fair is quickly approaching. Students’ projects will be on display March 10th and 11th. We invite the community to stop by and see our students’ work! Our third grade class will spend March 2nd at the capitol. This is an annual event to help the legislature understand a little about USDB and JMS. Students are also participating in our reading clinic. This is held Tuesdays and Thursdays each week. Students wait their turn to read one-on-one. JMS staff members are working with the PTA to help organize after school activities as students wait to participate. If you have a skill that you would be willing to teach or if you would be willing to help out in any way with these activities, please contact me (aimeeb@usdb.org). Lizzie Hansen, our executive secretary is switching roles to interpret for our students at USDB. We will miss her and wish her the very best in all she does. We have hired Ashli-Marie Grant as our new executive secretary. We would love for you all to wish Lizzie well and help us welcome Ashli-Marie. As always, we would like to thank you all for your support of JMS! It truly takes a community to teach our children. 13 Daylight Savings Begins at 2:00 a.m. The president of Gallaudet University, Roberta (Bobbi) Cordano, paid a visit to Utah and went through a whirlwind of activities while she was here. Her main reason for coming to SLC was to take a tour of Utah Schools for the Deaf and the Blind as well as Jean Massieu School for the Deaf. She also met with Joel Coleman, superintendent of Utah Schools for the Deaf and the Blind, about education system for deaf. In addition, she happened to have the opportunity to take a tour of Sorenson Communications building and Sanderson Community Center for the Deaf and Hard of Hearing. Her schedule was very tightly packed but she somehow managed to have time to talk with everyone and was very warm and friendly. The evening wound up with a dinner at Cucina Toscina with officers of Beehive Chapter of GUAA. Pamela Mower, Kim Smith, Duane Kinner and Yvonne Montalette enjoyed chatting with the Gallaudet president, a rare opportunity to meet the newest president. The chat revolved around how Gallaudet University influenced ours and other people’s lives for the better and how that legacy can be continued. The new President of Gallaudet University will be sworn in this coming fall. As we feel the chill of winter disappearing, our PIP staff looks forward to an opportunity to come together for training and our annual Spring Workshops. We will gather this next week for training and a chance to build and strengthen our team. One of our Deaf Mentors, Roberta Dunlap, will begin teaching our second PIP ASL class for families this first week of March. The class will run for 8 weeks and has been designed to meet the needs of parents, grandparents and other adult family members, but also to help siblings learn and use ASL in a fun and interesting way. Roberta has done a wonderful job of making these classes informative, fun and entertaining for everyone. One of the families that attended the ASL class this past fall reported that one of their children had refused to sign and resisted going to classes until he came to our PIP ASL class, where he has learned that ASL is fun. These kinds of stories make all of the effort of creating and conducting ASL classes worthwhile. This month we will begin to turn our attention to planning our PIP Family Camp which will take place on June 11. In the past PIP Family Camp has taken place over 2 days, a Friday night event and an all-day event on Saturday, but last year families requested that we eliminate the Friday night event and hold PIP camp on just one day. So we will give this new structure a try this year and will survey families afterward to see if the one-day event is more appropriate for their busy schedules. We look forward to the spring and opportunities to expose the children we serve to the sights, sounds and language that are all a part of this upcoming season. During the month of February USD was pleased to be a host to President “Bobbi” Cordano. When she arrived at the airport in Salt Lake we immediately took her to the Utah State Capitol to recognize her on the floor of the House. Afterwards she visited with our students at Skyline High School, answering their questions and telling them about Gallaudet. Finally she was greeted at the door by the JMS student body when she entered the building. We are honored that she selected Utah as one of her first visits in a tour of various states. The students adored her and she was very attentive to their questions. Since I was attending a conference during her visit to Utah, Superintendent Coleman and I have been invited to visit her at Gallaudet University in May. We are looking forward to the opportunity. February is also the middle of the legislative session. This year USDB requested two on-going funding increases. The first is the statutory increase for our teachers. This request is governed by State Code that allows us to give our teachers an annual pay increase based on the average increase of all the districts from the previous year. We have also requested a funding increase for paraeducators (aides) and interpreters. We felt these positions were underfunded and that a pay raise was in order. Additionally, we requested one-time funding for the design and purchase of land for a building in Orem and upgrades for the cottages. All of these requests were received favorably by the Public Education Appropriation Committee and they recommended that all of our requests be funded. 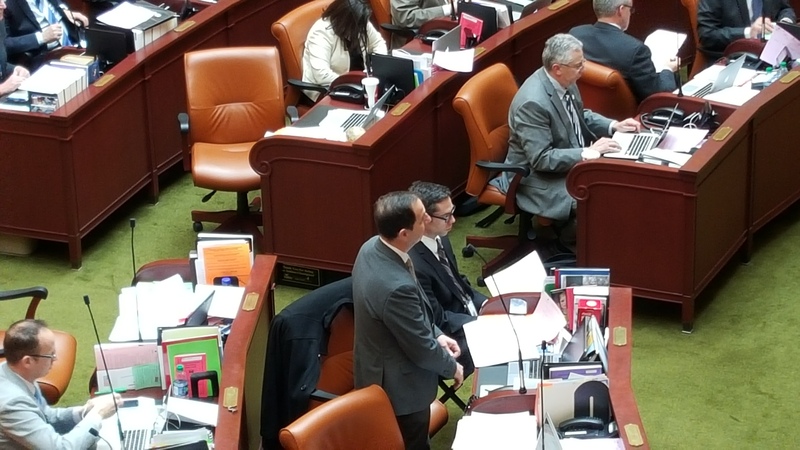 We will not know if they will be funded until some of the last days of the legislative session when the Executive Appropriations Committee makes it’s final recommendations. We are very hopeful for a positive outcome. 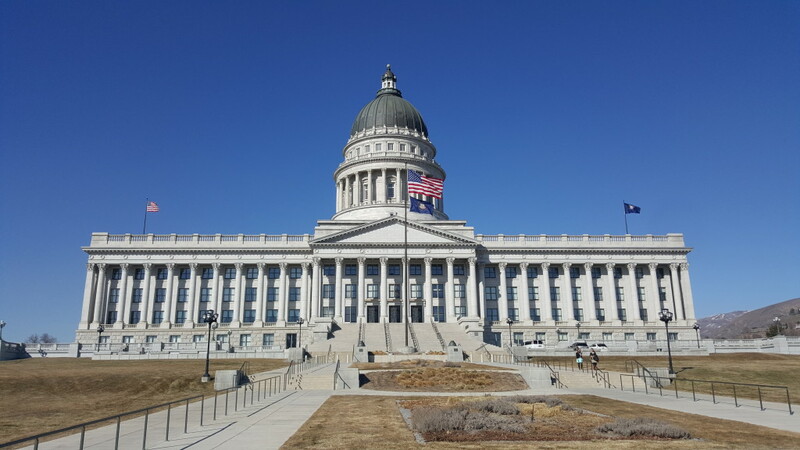 Some of you may have heard that USD proposed an addition to the code that required medical providers to directly report any children with a suspected hearing loss to the Utah Schools for the Deaf and Blind. Currently we are notified through a process identified by the Department of Health. Since we have had reports from some parents that their child was stalled in getting to USDB, we felt this language would help close those gaps. This bill was sent to committee and received unanimous support. Unfortunately the Newborn Hearing Screening Committee and some people at the Health Department did not understand the purpose of the bill and they brought strong opposition afterward. Joel and I met with members of this committee and the sponsor of our bill to discuss a resolution. Afterwards the sponsor decided to hold the bill for further study and a committee has been formed to discuss these issues. In support of our legislative presence at the Capital, USDB will be having class at the Capitol on March 2nd. This is a wonderful opportunity for the legislators to see what it is we do and for our students to better understand government. We would welcome anyone interested in visiting us on the Capitol. As always, substitutes are a constant struggle to maintain at USDB. If you know of anyone interested in becoming a substitute teacher for USD, please go to: statejobs.utah.gov and search under the category of ‘Education,’ ‘All’ locations, in the department ‘400 Board of Education’. Once you select search, you will see all open positions at USDB. We encourage all of you that are interested to apply because, WE NEED YOU! Finally I wanted to let you know that I intend to create a monthly VLOG to update the community of what is going on at USD and USDB as a whole. This will be posted on a YouTube channel for all to access. Be looking for that to be posted within the week. Once the channel is ready to share, I will inform the UAD and Deaf Community. Thank you for your tremendous support of USD!